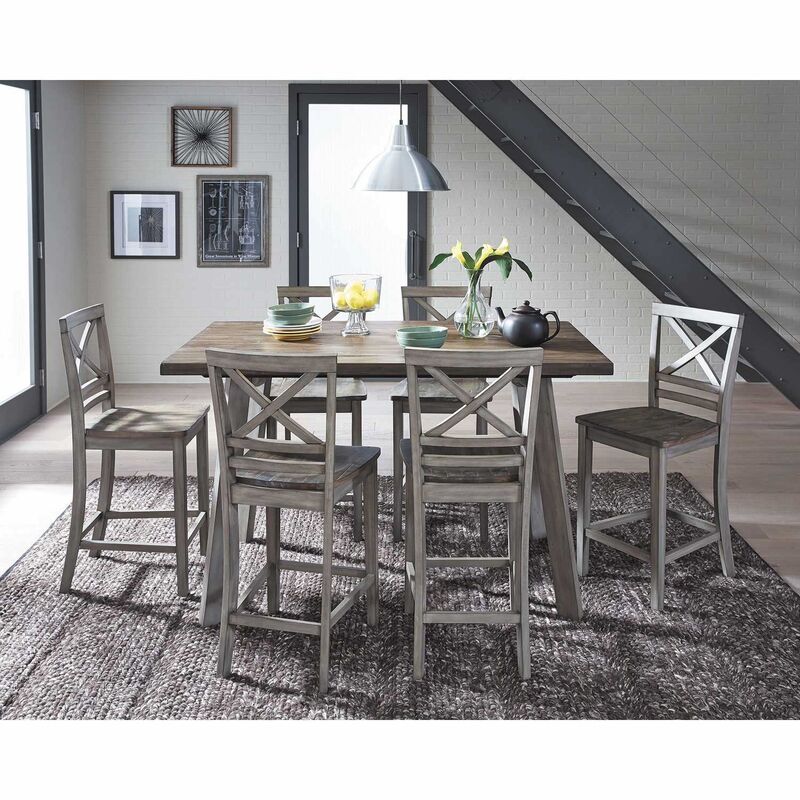 Bring a versatile farmhouse feel to your dining experience with the Fairhaven Counter Height Barstool by Standard Furniture. 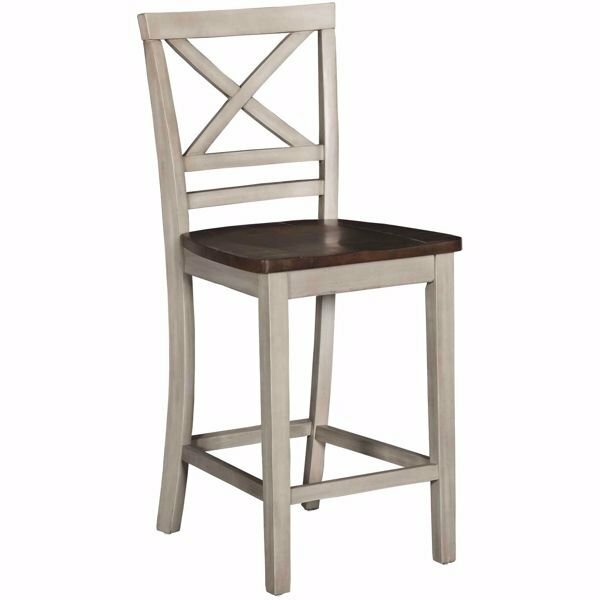 This 24” counter height barstool has a two-tone look thanks to the distressed, planked brown seat and the antique grey finish. The X back completes the casual, inviting quality. 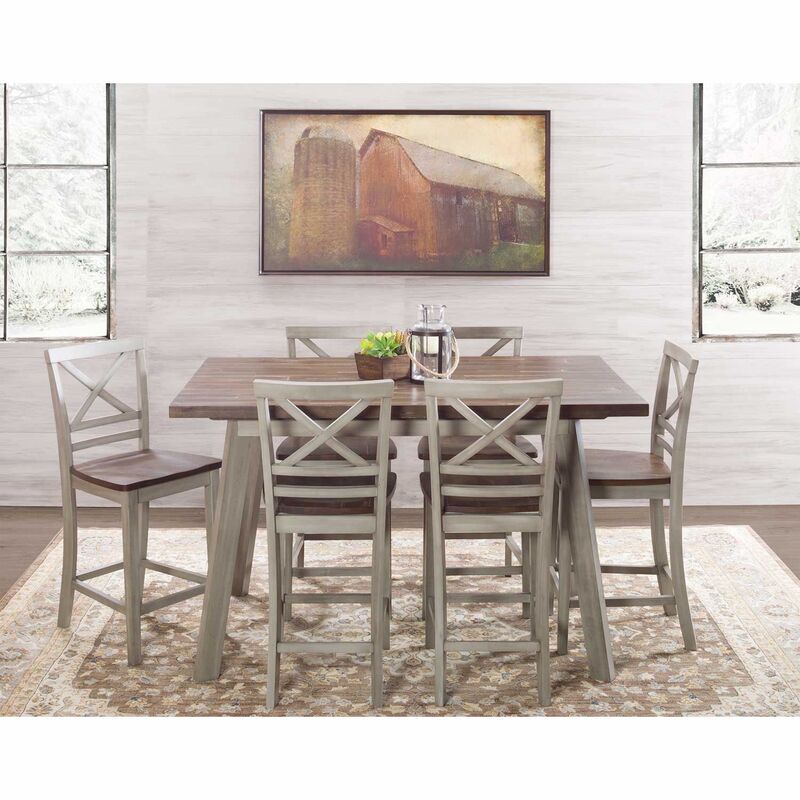 Bring a versatile farmhouse feel to your dining experience with the Fairhaven Counter Height Barstool by Standard Furniture. 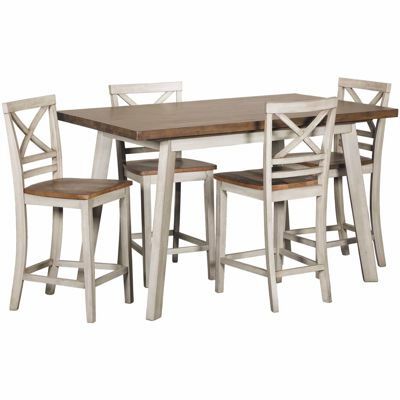 Fairhaven Counter Height Barstool by Standard Furniture. 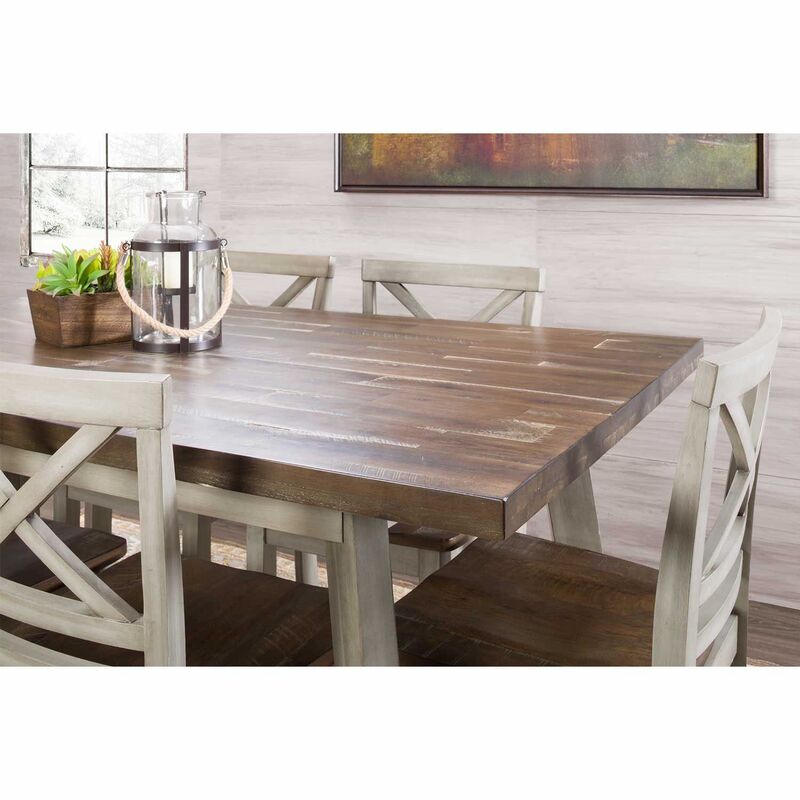 2-Tone Reclaimed rustic grey frame, medium brown seat. 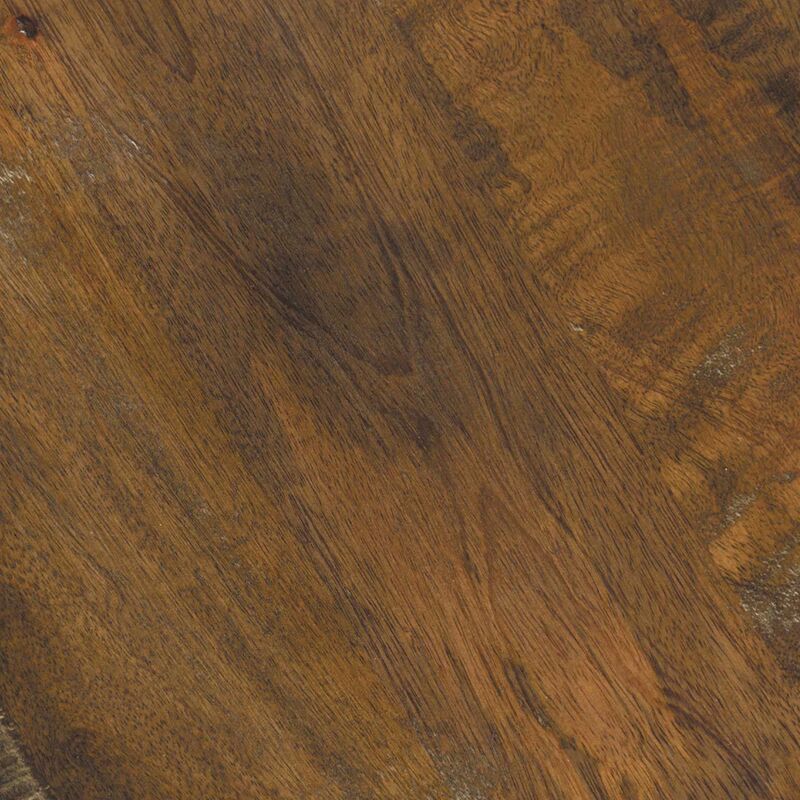 X-back style counter height barstool.